Can Continuous Testing Keep Up With Agile Technology? Will Streaming Services Suffer the Same Crisis Cable Did? 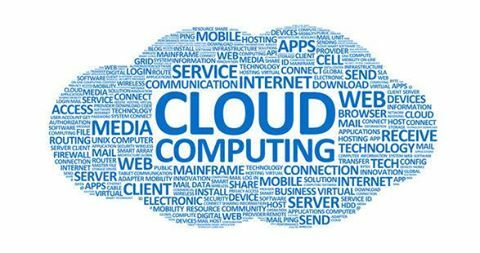 The cloud industry has undergone a lot of change and transformation this year. However, it appears that 2016 will be the year that things really take off. Increased adoption at both an enterprise and individual consumer level will drive significant changes as we move forward. Let’s take a look at what this means and what you can expect in the coming months. Over the past two or three years, the cloud computing industry has grown from a small sub-segment of the market to one of the most promising technological developments of the century. Here’s what experts believe will happen in 2016. Cloud adoption is no longer a trendy thing that startups and small progressive companies do. It’s moved way past that perception and is now considered a must for large enterprises and Fortune 500 companies. Regardless of the industry or size, big enterprises will continue to adopt cloud technology in big ways in 2016. The major benefit here is that cloud technology allows companies to cut both costs and risks at the same time. When looking towards the future, those are two things that every CEO and CIO want to do. As the industry has grown, it’s become easier for companies to transition to the cloud. Naturally, this means more companies will adopt the cloud (which fuels the first prediction). Experts believe that 2016 will be the year that simple methods for pushing data from organizations into cloud data ecosystems will happen. In other words, self-service cloud technologies will continue to grow, making data integration and migration much less risky and complicated. As the cloud industry grows as a whole, the need for IT experts who are knowledgeable about these technologies will grow. This means more and more industry professionals will begin dedicating substantial amounts of time to earning various certifications. This will lead to a highly educated workforce that allows companies to do things they never before thought possible. The beauty of the cloud is that it’s simple and secure. And as we transition into 2016, this simplicity and security will only become enhanced. By 2020, Gartner predicts that 95 percent of security cloud failures will be the customer’s fault. This means the technology will be strong, and that the only way data can be compromised is by a lack of understanding on the user side. On the vendor side of things, look for more large technology companies to get involved in the cloud industry. Major players like Google, Amazon, and Microsoft will continue to battle for market share, while other companies will simultaneously attempt to enter the cloud industry and undercut their market share. Will one company establish itself as the clear-cut leader, or will the market become highly fragmented? That remains to be seen. According to Andrew Spender of Gartner, “The convergence of cloud and mobile computing will continue to promote the growth of centrally coordinated applications that can be delivered to any device.” This will ultimately create a business environment where support can be given from anywhere at any time. This will further enhance flexibility and remote employment opportunities in many industries. As you can see, the future of the cloud is bright. In 2016, expect to see major changes and developments. By 2018 or 2020, the current state of the cloud may be totally unrecognizable. Innovation will continue to happen at a swift pace and no industry will be left untouched. I'm a geek with a love for all things tech. I'm also an online business consultant with expertise in SEO, SMM, and digital marketing strategies. What Android Apps I’ve Got Installed–And You?